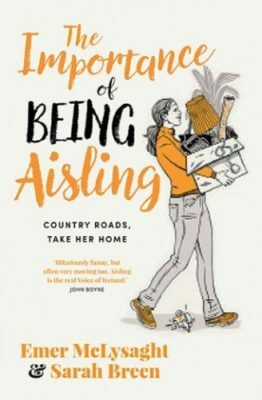 After a tough year, things between herself and John are back on track, and life with Sadhbh and Elaine in their notiony Dublin apartment is more craic than ever.But when a shock change means moving Down Home might be her only option, Aisling is thrown. Can she give up the sophistication of brunch and unlimited Pinot Greej? Will she and Mammy kill each other living back under the same roof? And where does that leave her and John?When a girls’ trip to Vegas gives Aisling some unexpected confidence, she decides it’s time to grab Ballygobbard by the horns. Throw in a surprise engagement, a very public brawl, new friends and nasty foes, maybe BGB is just what Aisling needs to discover she’s stronger than she ever imagined.